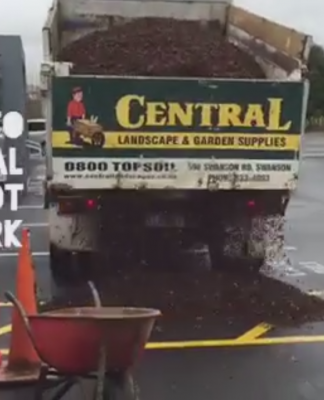 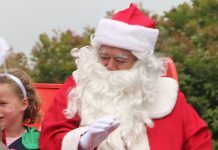 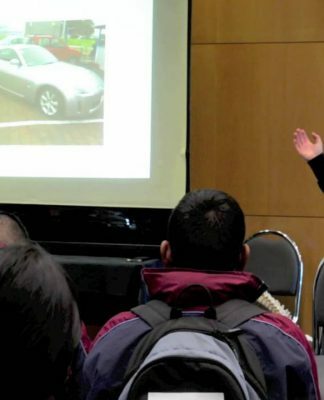 This project was a partnership between Henderson Rotary and Forest and Bird and was made possible by a matching grant from Rotary District 9910. 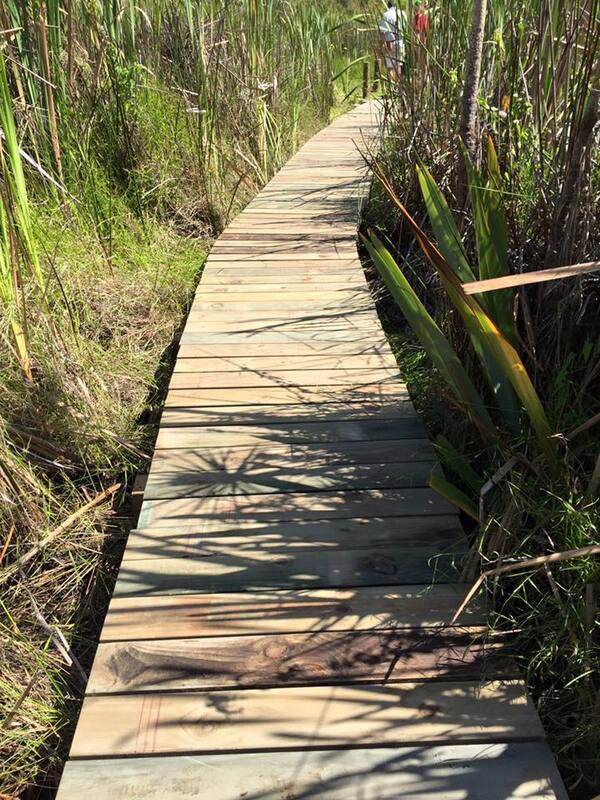 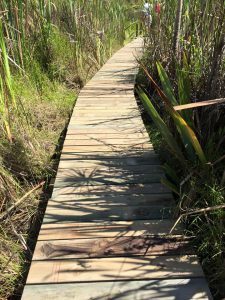 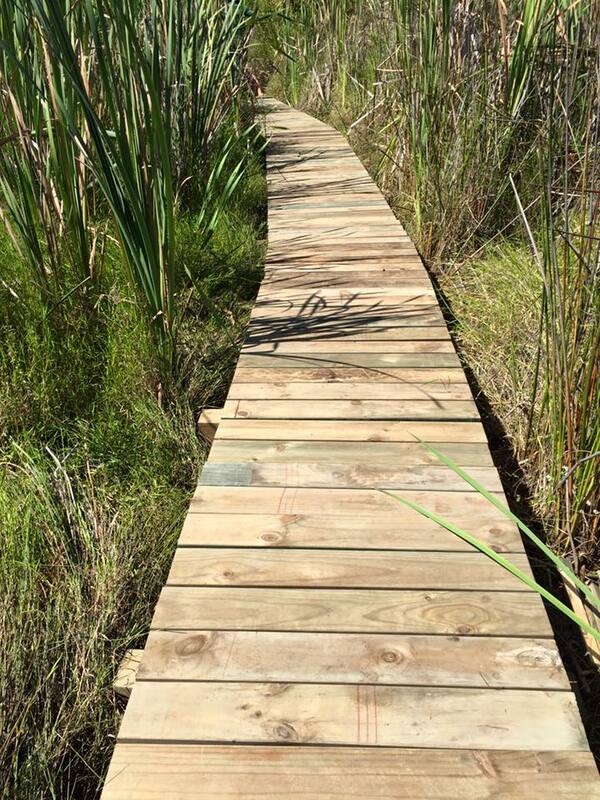 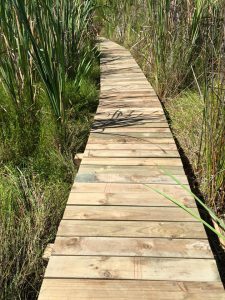 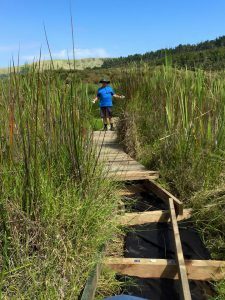 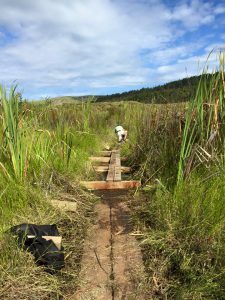 The project was to construct a new wooden boardwalk over the top of the previous boardwalk which was built around 20 years ago and was partially underwater. 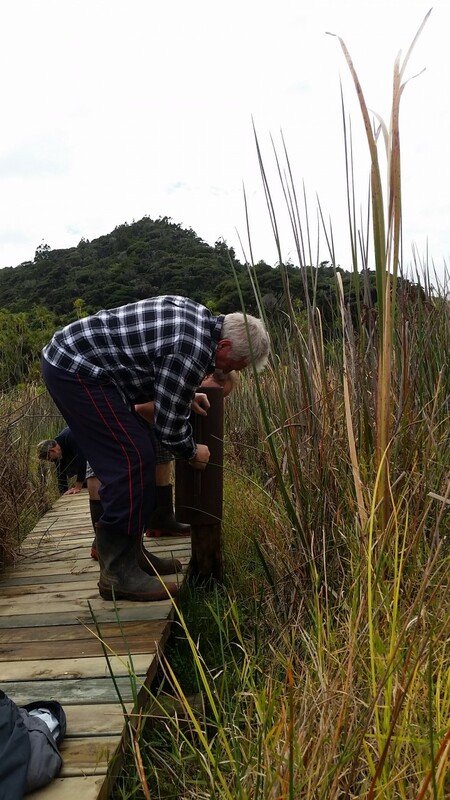 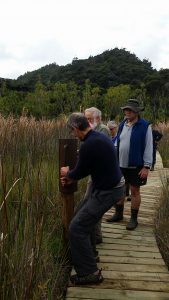 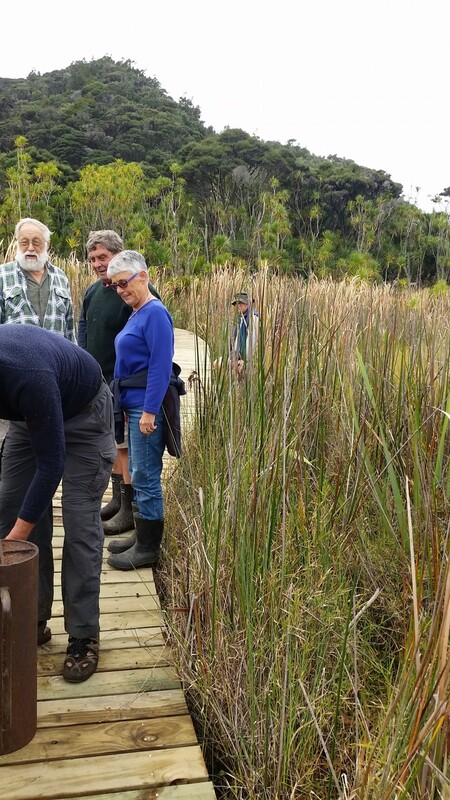 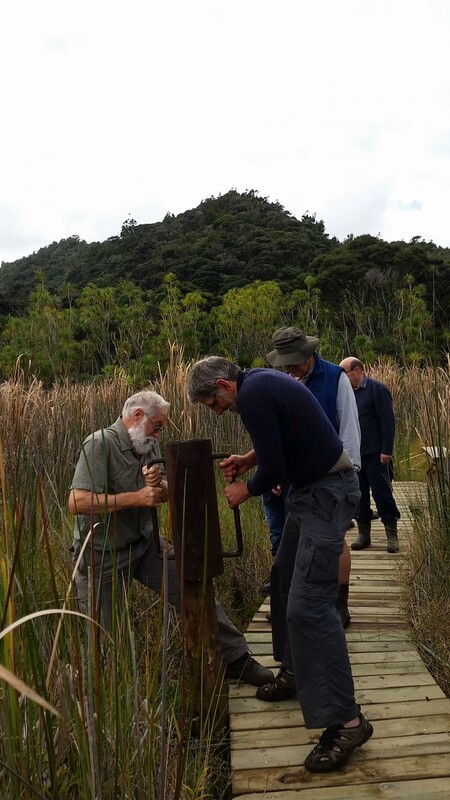 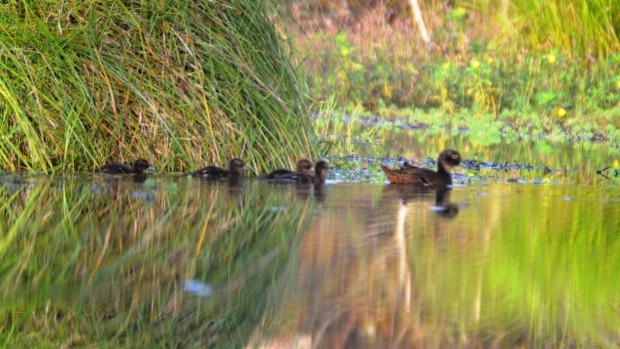 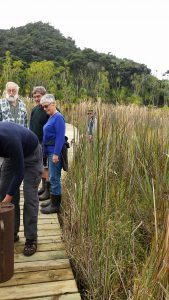 One of the key reasons for carrying out this work was to provide easier access for conservationists and researchers to observe the rare Pateke (Brown Teal) which have been successfully released into the area recently. 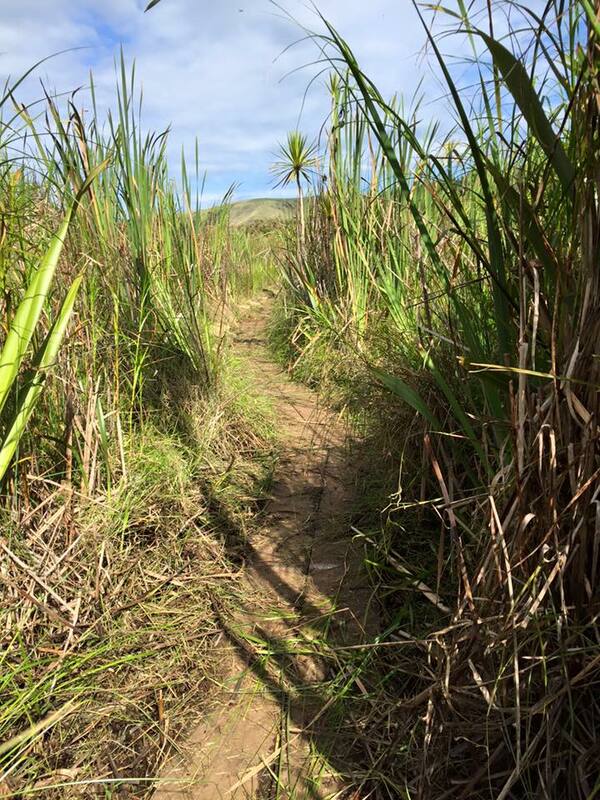 Situated in the hills behind Bethell’s beach, this forest and wetland sanctuary is Forest & Bird’s second-largest reserve occupying a total of 120 hectares. 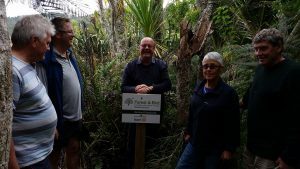 The larger part of the reserve is native forest which is best described as coastally influenced lowland broadleaf forest, with emergent tanekaha and kauri on ridges. 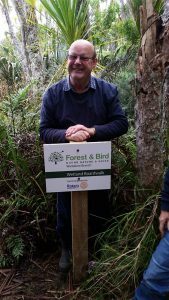 Dense with fruiting & flowering species such as puriri, karaka, nikau, rewarewa, kowhai, pigeonwood and mahoe, the forest is a good food source for the thriving tui & kereru populations. In all, over 250 plant species have been recorded in the forest, from perching lilies and orchids to a luxuriant carpet of ferns & sedges that covers the forest floor. 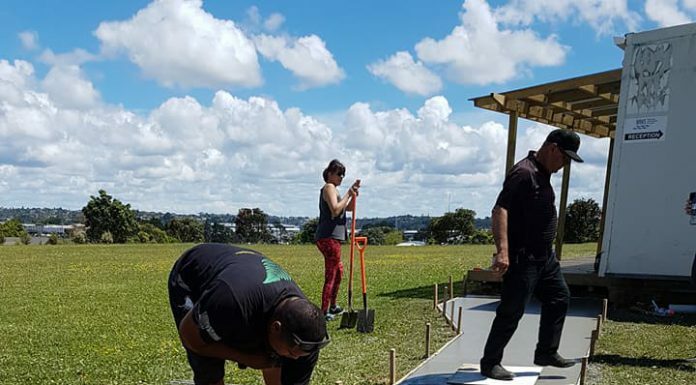 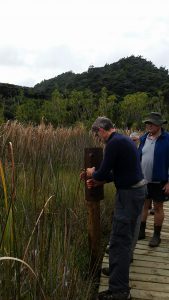 At the base of these slopes is the reserve’s 20 hectare wetland, part of the wider Te Henga Wetland, the largest relatively unmodified freshwater marshland in the Auckland region.The newly constructed boardwalk allows visitors to view wetland vegetation and perhaps see some of its birdlife such as fernbird, pukeko, black swan, and mallard as well as the newly released Pateke. 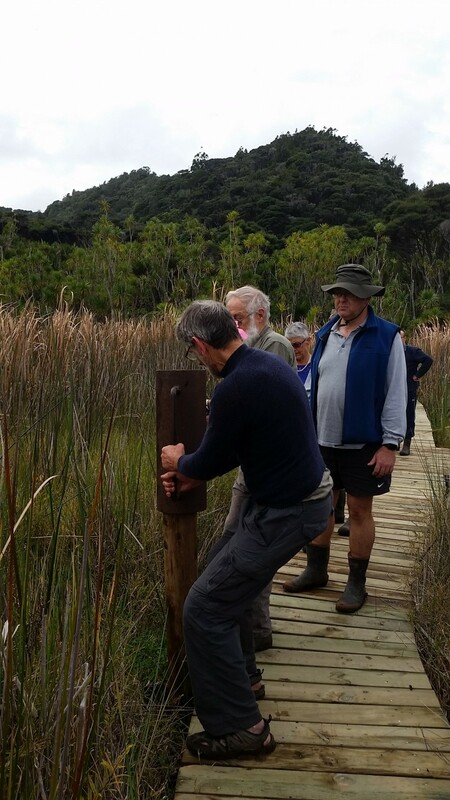 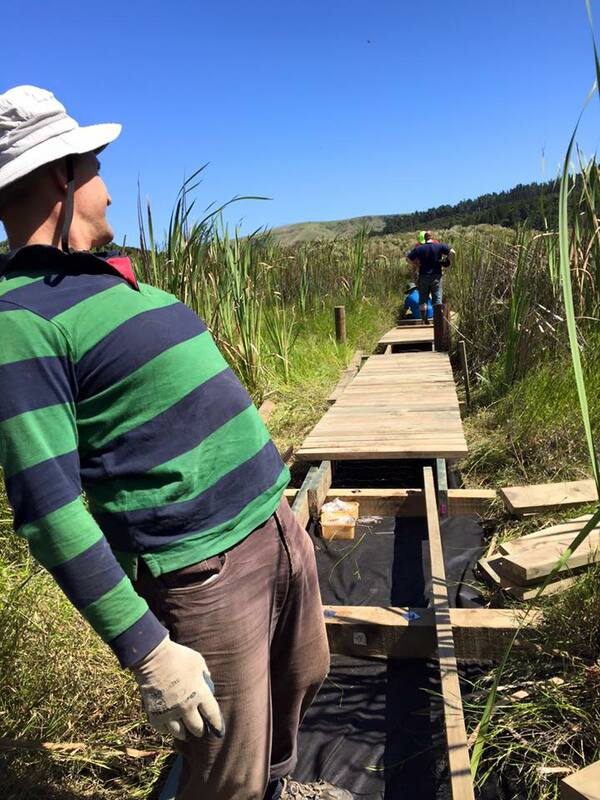 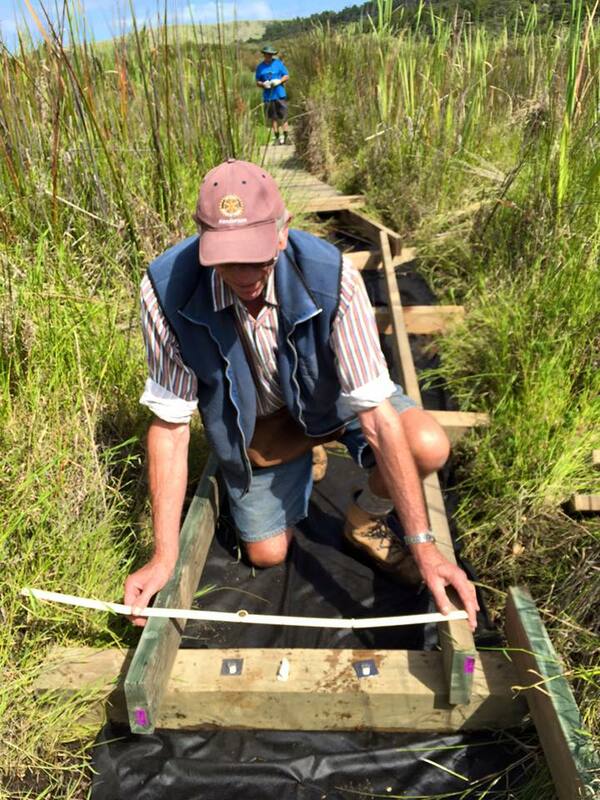 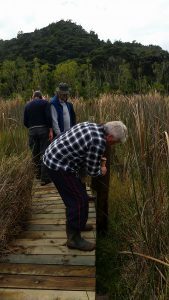 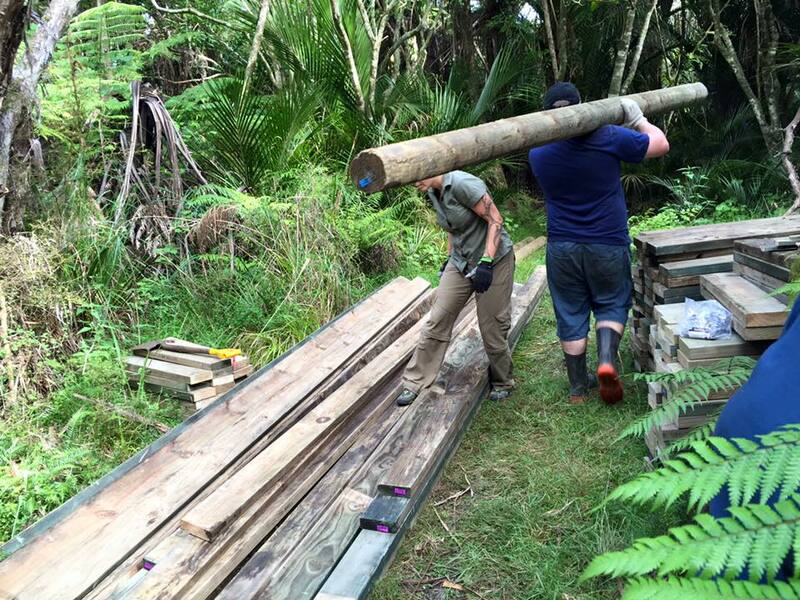 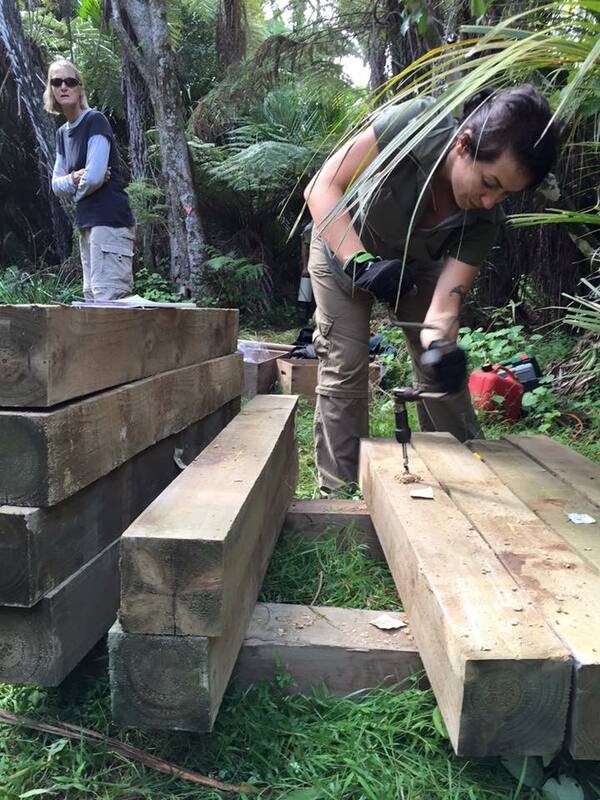 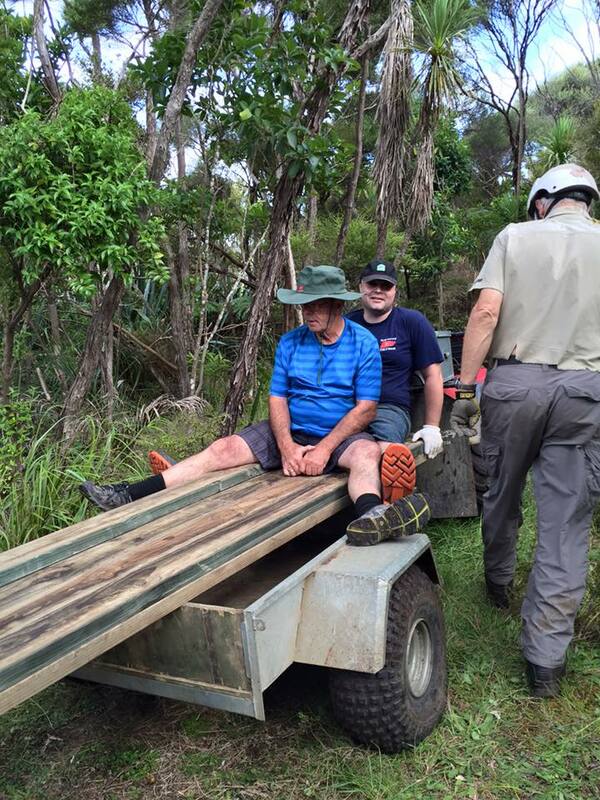 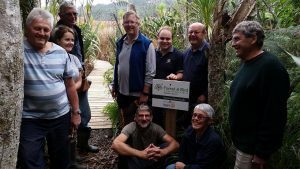 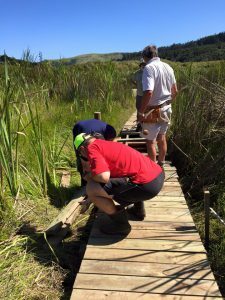 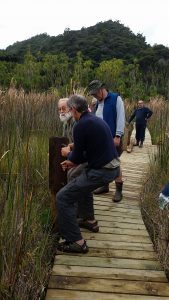 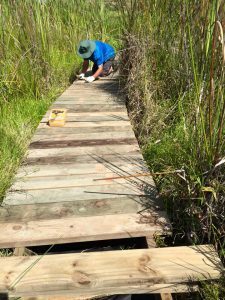 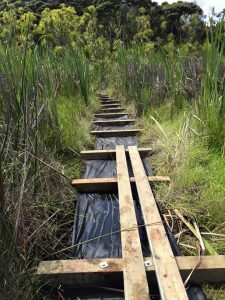 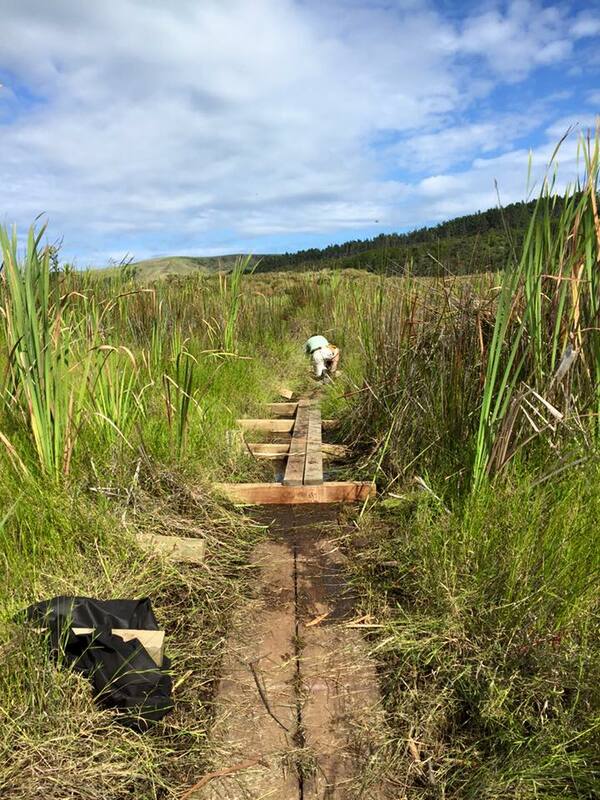 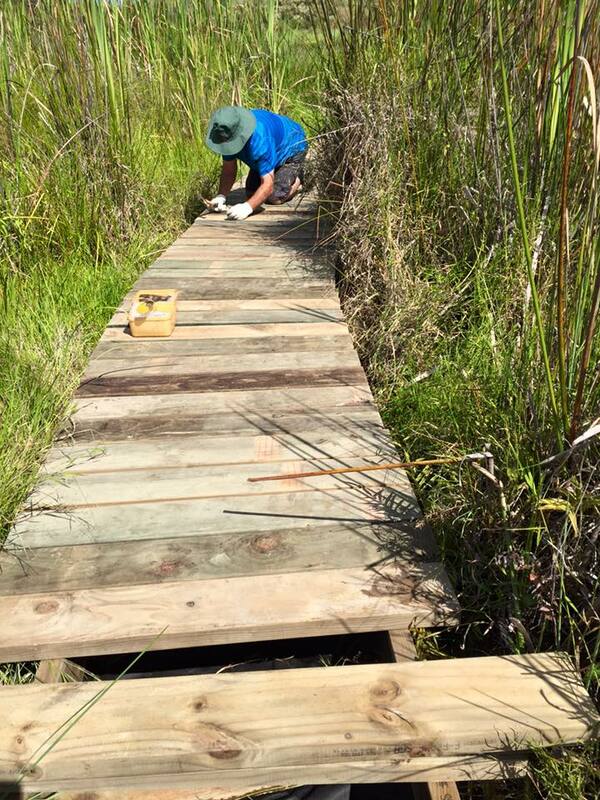 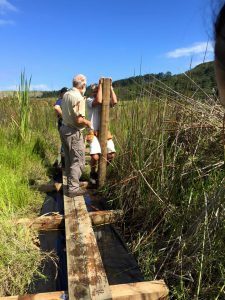 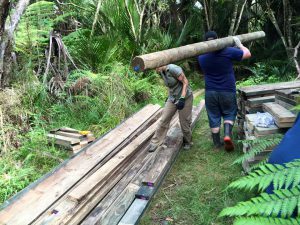 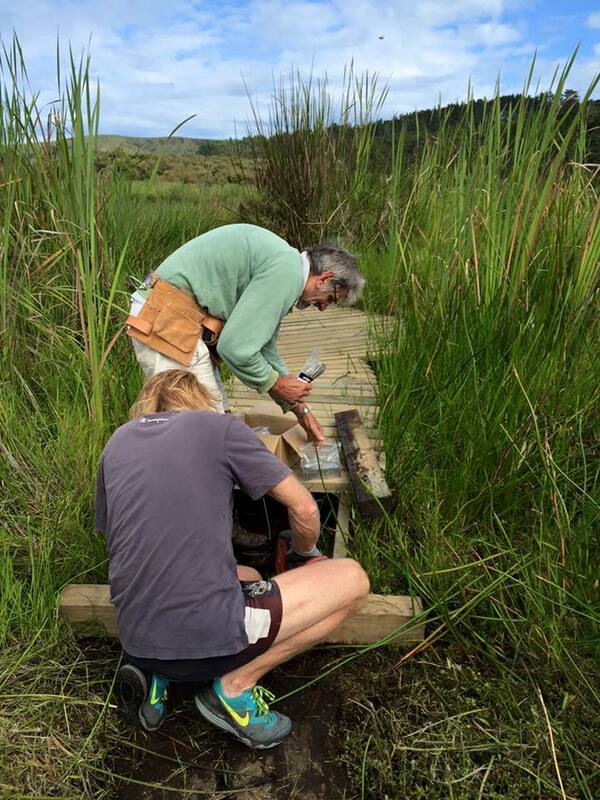 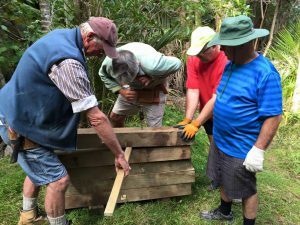 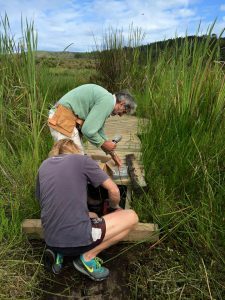 We had a great time over three Sundays constructing the boardwalk and had help from a number of Forest and Bird volunteers organised by Dr John Sumich and John Staniland. 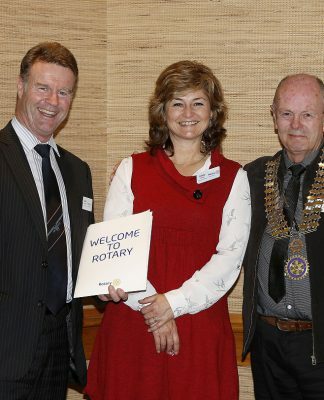 Big thanks from the club goes to our member Paul Erceg who instigated and organised the project.